Tips to Healthy Looking Skin this Winter! With the onset of the winter days, most of us become worried about dry and flaky skin, a dull face and chapped lips. There are a number of reasons, both internal and external behind these winter skin problems. The main cause is lack of humidity in the air due to which the skin becomes dry and flaky. Due to low temperature, the blood vessels in the skin become constricted which in turn reduces blood flow to the skin and oil producing glands in the body. Less water content in the skin causes extensive dryness. At the same time improper skin care routine, lack of essential nutrients in the diet plan, not drinking enough fluid and use of wrong products can play a significant role in winter related skin problems. If you are worried about winter skin problems, do not worry. By adapting some healthy habits you can easily get rid of all your skin related problems this winter. Here are the top tips on how to take extra care of your skin this season. During the winter people often do not get thirsty and hence do not drink much water. You must drink adequate water during the winter days also. This is the best and easiest way to hydrate your skin. Try to drink about eight to ten glasses of water daily. Herbal teas and fresh juice of fruits and vegetables are also good your winter skin. You must also do regular exercises. Exercise will do more than simply get your body in shape. It will clear your pores and increase your metabolism, as sweating takes out the toxins from the body through the skin, thereby cleansing the internal organs. Always wear sunscreen, preferably one suited for your skin during the winter days. People often do not use sunscreen during this winter as they think the sun rays will not cause damage to their skin. But in reality, be it winter or summer, the skin needs proper protection from the harmful UV rays of the sun. Special care of the skin is required during the night also. So, opt for a heavy night cream and apply it generously on the face and body before going to bed. This will help a lot to keep your skin in a healthy condition. Use a long lasting moisturizer twice a day, preferably on damp skin after taking your bath, before you dry your body completely. This will help to trap the moisture and keep the skin soft and supple. For oily skin, use a light moisturizer, which have been specifically created for oily skin. Daily cleanse your face as it is one of the most important steps of proper skin care routine. Wash your face with a mild cleanser and rinse with lukewarm water to gently remove dirt and excess oil. Avoid antibacterial soaps and very hot water. During the winter months instead of shower, try to soak in a nice warm bath. For better result add some Epsom salts and aroma therapy oil to your bath tub. It is recommended taking your bath two hours before going to bed. Exfoliate your skin once a week to remove flaky skin. You can use a commercial product to exfoliate your skin and make one at home using some almond oil and sugar. When exfoliating your skin try to be gentle or else you will cause damage to your skin. During the winter days you also need to treat your hands and feet properly. Regular manicure and pedicure are must during the winter as the harsh climatic conditions can affect your hands and nail beds. Also do not forget to apply some good quality hand and foot cream throughout the winter days. Using a humidifier inside the house will help keep the skin moist even during winter. A humidifier will increase the humidity or moisture in the environment. You can opt for a humidifier appliance and get yourself a few houseplants and place them around your house. Caffeine, alcohol, soft drinks and fried foods should be avoided as such items can make your skin drier. Those having dry skin must avoid using toners as they tend to dry it out even more. Do not use alcohol-based astringents, wipes and colognes as such products are not good for your skin. Avoid prolonged hours inside a room having central healthy system as this can rob your skin of moisture. Instead of remaining inside the room, try to take regular breaks and go for a walk out in the sun. Avoid going to bed with makeup. Remove all your make-up at the end of the day so that your skin breathes and look healthy. So, it’s time to dedicate little of your time daily to your skin and you can soon see huge transformation and there will be compliments coming your way. Top 8 Foods for Healthy Skin During Winter! During the winter months, it is common for the skin to become dry, flaky, and sallow. Keeping the skin moisturized is the best way to handle the common winter skin problems. There are many body wash, body lotions or creams designed specifically for the winter season to fight dry skin. But for extra supple skin, instead of using these products try hydrating your skin from the inside out by including the right foods in your diet plan. 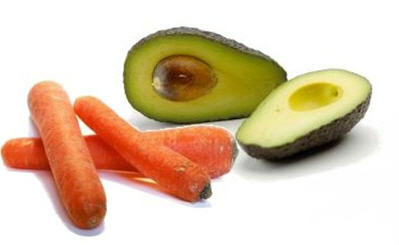 Here is a list of best 8 foods that promote skin health. Avocados are a great source of vitamins C, E, and monounsaturated fats, which help your skin to lock in moisture and replenish nutrients in skin. It also promotes collagen production, and help keep your skin supple and firm. You can enjoy avocado as a whole fruits or in salad form. Grapefruit contains lycopene, a carotenoid that help to keep your skin smooth. In a study published in 2008 in the European Journal of Pharmaceutics and Biopharmaceutics, researchers found that of the 20 individuals studied, those who had higher skin concentrations of lycopene had smoother skin. Also grapefruit contain a good amount of vitamin C, which helps turn back the clock by preventing wrinkles. Carrots contain the carotenoids beta carotene and lycopene—both of which help fight dry skin and protect the skin from harmful sun rays and environmental damage. Also carrots contain vitamins A and C, which help repair body tissues and produce collagen, respectively. A glass of carrot juice in the morning can do wonder to your skin. Spinach boasts lutein, a carotenoid that protects the skin from harmful UV rays of the sun. Also spinach contains high levels of vitamins C, K and E, along with iron and omega-3 fatty acids, which hydrate skin, keep it healthy and improve the immune system. You can steam spinach leaves as a side veggie, or enjoy it in salad or soup form. The most important thing you need to do to keep your skin glowing during the winter is to drink a lot of water! Our body is made up of about 60% water, so water is required to keep the body hydrated. Also water helps to get rid of waste and toxins, which are the main cause of dull skin. A well hydrated skin looks great even without any kind of makeup. Almonds are considered as the ultimate power food for the chilly winter days. Almonds contain a good amount of omega-3 fatty acids, vitamins A, B and E, monounsaturated fats and minerals, and several antioxidants. All these nutrients help to keep the skin hydrated, and promote skin elasticity, help regenerate cells, and protect against pollutants and free radicals. You can enjoy almonds as a snack or sprinkle some on yogurt or cereal, or used as crunchy toppings for baked products. Eggs are high in protein, which help in cell regeneration, and contain sulfur and lutein, which promotes skin hydration and elasticity. Eggs can also hydrate the skin when used topically. Whip egg whites until frothy and then use it as a face mask. Leave for a few minutes and then rinse with warm water. You must also regular eat eggs for healthy skin. You can eat eggs in poached, boiled, scrambled and fried form. Fishes like salmon, sardines, herring and mackerel are extremely good for your skin. due to the presence of omega-3 fats. This essential fat strengthens skin cells, helps protect skin from sun damage and reduces the risk of skin cancer. Regular intake of fishes can help your skin stay supple, smooth, and tight. Instead of deep-fried fish, opt for grilled or baked fish dishes to enjoy its health benefits. So, eat the right foods and keep the winter skin problems at bay. Now go out and enjoy the winter days with others without worrying about your skin. 15 Tips to Soothe Dry Skin During Winter! Dry skin can be a problem all throughout the year, but the problem gets worse during the winter months. This happens due to lack of moisture in the air and people prefer to use heating systems while staying indoors. People of all ages and with all skin types can suffer from dry and flaky skin during the winter days. Due to skin dryness, people can even suffer from other skin problems such as itchiness, roughness, flaky skin, redness, cracked skin, chapped lips and etc. Though hot water feels good, it is not at all healthy for your skin. Hot water strips your body of its natural oil barrier, and hence your skin becomes unable to trap moisture. Due to this your skin does not feel smooth and moist. This is why beauty experts recommend short, warm showers or baths and after that you need to immediately apple some moisturizer all over your body. To achieve soft, supple and moisturized skin, it is important to moisturize your skin regularly. Moisturize when your skin is damp. Moisturizing when your skin is still slightly wet helps to seal in more hydration. A good moisturizer with natural oils and herbal ingredients will help to maintain the moisture level and keep your skin hydrated. At the same time you need to use soap with moisturizing cream in it, and avoid oil free soaps and shower gels as they make your skin dry. Your must regularly apply petroleum jelly on your skin to avoid cracks and dry skin. It is a good idea to massage your hands and legs using petroleum jelly twice a day in order lock the moisture in your skin. As petroleum jelly can be thick and sticky, it may be best to apply it at night. Try dampening your skin, putting on a layer of your regular moisturizer, then a applying a thin layer of petroleum jelly to seal everything in. In the winter months, you may feel less thirsty but this does not mean that your body does not need water. You must drink plenty of water throughout the day as moisture evaporates from the skin and makes it dry and cracked in winters. On an average eight to ten glasses of water a day is recommended. Water will prevent dehydration of the body in general and especially the skin. During the winter month, you may feel the urge to sit near the fire place or heater for a few minutes. But this is not a good option for the health of your skin. As much as possible avoid extremely heated areas, and make sure that you do not lay or sit near fire place or heater for a long period of time as it will takes away the moisture from the skin. This may result in rough, flaky and cracked skin. Be it winter or any other season of the year, you must not use any kind of harsh product that further strips your skin of moisture. Choose your skin care products wisely and if possible opt for herbal products and choose products according to your skin type. You can buy skin care and beauty products that contain jojoba oil, Shea butter, almond oil, olive oil or grape seed oil to keep your skin well moisturized. Every time you wash your hands during the day, dry them off and apply a pump of hand lotion. This is the best way to keep your hands moisturized around the clock. And do not forget to keep a travel-size hand lotion bottle in your handbag whenever you go out of your home. With furnaces running, doors and windows tightly closed and air being re-circulated constantly, dry air is all around which cause skin. Using a humidifier in your room will immensely help to add moisture to the air. Simply fill a big bowl of water and place it in front of your heating vents, or else you can buy a professional humidifier. Shaving during the winter months can irritate dry skin. This happens as while shaving you also remove the natural oils from your skin. Try to shave immediately after taking a shower. During this time, hairs are softer, making shaving easier. Sun damage is one of the main causes behind dry skin. You can help prevent that damage by wearing a broad-spectrum SPF 30 or higher sunscreen year round. Such kind of sunscreen will give the added benefit of sun protection and will protect the sensitive skin on your face from damaging sun rays, which cause burns, sun spots and even wrinkles. You can find moisturizing sunscreens as ointments, creams, gels, even sprays. A healthy and balanced diet will help your skin by providing the vitamins and nutrients that the body needs to stay healthy and hydrated. Try to eat at least two portions of green, leafy vegetables and two portions of seasonal fruits daily. Fruit and vegetables with high-water content, such as watermelon, broccoli and tomatoes can help to combat dry skin. The negative side effects of smoking are well known, but very few people are aware of the fact that smoking is immensely bad for the skin. The tar contained in cigarettes clogs the pores, leading to blackheads and breakouts. Smoking also depletes the tissues of vitamin C, which is essential for healthy-looking skin. Alcohol dehydrates the body which in turn can cause skin dryness. It decreases the body’s ability to absorb water due to which the skin becomes dry and red. Try to drink alcohol in limit. Also when drinking alcohol, have a glass of water between drinks. Exfoliating can be great to get rid of dead skin cells and for smoothing the skin. However, many facial scrubs can also strip the skin of moisture and irritate dry skin. This is why it is important to exfoliate gently, using the right products and techniques. Ensure that you moisturize the exfoliated cuticles comprehensively. This includes the spots of thicker, dry skin found along the heels, elbows and needs. It is better to use nourishing oils like sesame or coconut oil for this. You may need to change the products you use, according to changes in your skin or the time of year. In colder months, you may to switch to a richer moisturizer. In summer, you should use one with an SPF. If you have combination skin, it may be necessary to use a lighter moisturizer on the parts of your skin that gets oily and a heavier one where your skin gets dry. By following the above mentioned tips you can enjoy well moisturized and supple skin throughout the winter months. 7 Simple Tips for Avoiding Dry Lips during Winter! With the arrival of winter months, there are many winter skin problems that can make your life miserable. One such problem is dry, cracked and painful lips. Many people wonder as why their lips become dry especially during the winter months. Well, this is mainly because the skin of the lips is very thin and there are few oil glands to help keep them moisturized. And as during the winter days the environment lacks moisture, the lips become dry. Irrespective of what is the exact reason behind your dry and cracked lips, there are some easy and simple ways to eradicate the problem. It’s very common to lick the lips to alleviate the discomfort. But this common practice does more harm to your cracked lips due to the digestive enzymes and bacteria present in saliva. As soon as you lick your lips, for some time you get comfort but when the moisture evaporates into the dry and cold air, your lips become even drier. Instead of licking your lips apply a moisturizer or lip balm throughout the day. You may have dry and cracked lips due to some allergic reaction. If you think this is the reason behind your chapped lips, you must have a close look at the products like toothpaste, mouthwash, lip balm and lipstick. Stop using a product having flavoring agent, cinnamate, oxybenzone, and dyes and so on for a week or two. If you see an improvement in the condition of your lips then do not use the products again or else try some other tips. To prevent and repair chapped lips, you must apply a lip balm or petrolatum-based ointment onto your lips throughout the day. A lip balm will seal in moisture and form a protective barrier so that your lips remain healthy and pink. A dehydrated body can also cause your lips to crack. So, during the winter months make extra effort to keep your body well hydrated. You can do this by drinking ample amounts of water daily. Try to drink about ten glasses of water daily and eat more fruits and vegetables that are high in water content. Exfoliate your lips once or twice a week in order to remove the flaky, dry skin that can build up on chapped lips. Gently rub your lips with a dampened soft washcloth or toothbrush, or use a lip scrub to remove dead skin. Once done, you can notice smooth and soft lips. Heated indoor air is actually very dry that can cause chapped lips. So it’s a good idea to set up a humidifier. Maintaining a 30 to 40 percent indoor humidity level during the winter months will be good both for your skin and lips. If after following the above mentioned tips, you can’t seem to cure your dry and chapped lips, you must pay a visit to your doctor to help figure out the exact cause behind the problem. Always remember that pre-cancerous condition, thyroid disease or an autoimmune disorder or medicines may also cause lip dryness as a side effect. Some Anti-Dandruff Tips for Winter Months! The chilly and windy days of winter months tend to make your scalp dry, flaky, scaly, and itchy. This is nothing but the problem of dandruff. The problem of dandruff can be more severe during the winter months and mildest during the summer. Dandruff affects the quality of your hair, and also causes social embarrassment. 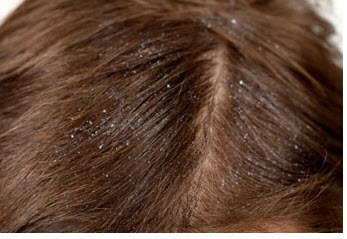 Some of the symptoms of dandruff are itchy scalp and visible white flakes of dry dead skin. People mostly suffer from dandruff during the winter months due to cold dry air outside, as well as the warm dry air indoors, which is caused by many heating systems. Also regular use of hats during the winter days can aggravate the problem. This happens as hats and woolen caps impede air circulation around the scalp, which can dry out the skin or cause excessive oil build up on the scalp. You should consider two factors for treating dandruff – your age and the severity of your dandruff. Also your aim should be to stop the dandruff by slowing down the reproduction of skin cells, and counteract the yeast production that might be the cause behind dandruff. Regular hair wash is highly essential to keep your scalp free of dandruff. For washing your hair try to dandruff shampoo and massage your scalp gently when washing. Leave the shampoo on your head for a few minutes before rinsing it with cold water. Do this every alternate day until the white flakes are totally under control. When buying a dandruff shampoo, try to choose one that contains different active ingredients to inhibit dandruff. For instance ingredients like coal tar, zinc pyrithione, selenium sulphide, ketoconazole and salicylic acids can slow down the rate at which dead skin cells on the scalp are shed. If the shampoo chosen by you causes irritation, stop using it immediately and look for another one. During the winter days, it is highly advisable to use a humidifier at home. Humidifier will reduce the dryness level in the environment and will put moisture back into the air. When using a humidified do not forget to clean and dry your humidifier regularly or else it can hamper your health. If you have dandruff, then you must take a close look at your diet plan. It has been found that diet rich in zinc, B vitamins and certain fats can control dandruff to a great extent. Try to eat more cold-water fish, flax seeds, walnuts, eggs and leafy green vegetables. It is also recommended to avoid dairy products. Hair styling products can aggravate the problem of dandruff. This is why you not to avoid the use of hair styling products completely or at least limit it. Taking a head bath two to three times in a week can also control dandruff to some extent. This happens because head bath involve a bit of a head massage, which in turn disturbs the natural habitat of dandruff and hence controls it. When taking a head bath avoid using too hot water. As dandruff is a kind of fungal infection it can be contagious. This is why it is recommended not to share combs, brushes and towels with people who may suffer from dandruff. If after several weeks of treating yourself you still have dandruff, you should consider seeing a doctor or a dermatologist.